Opening with ‘Heart Strings,’ we are treated to a surprisingly upbeat melody with string plucks and a subtle rolling bassline. ‘Bounc3’ is a much more techy offering that is a perfect choice for those summer minimal parties. ‘Fairground’ is more neurotic, with a slow yet addictive build that is perfect to pick up the pace of any set. Finally, ‘Elastic’ closes things out with the darkest pick with vocal samples and what we can only describe as the sound of bubbles in a digital world. This is our clear favorite, though ‘Bounc3’ is a close second. All four tracks are worth a listen and likely inclusion in a warmup set. 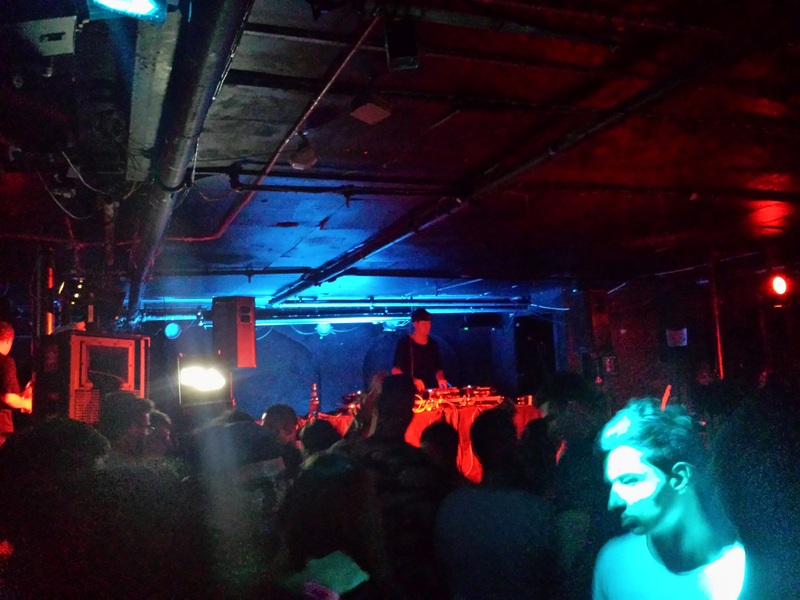 This past Friday we were fortunate enough to see two sets of legends – hot musicians Bob Moses and Berlin-based ENTER favorite Mano Le Tough at our own little Boiler Room, The Middle East Club. This was one of the most talked about Togther Festival events (in collaboration with Resident Advisor) so we just had to be there. 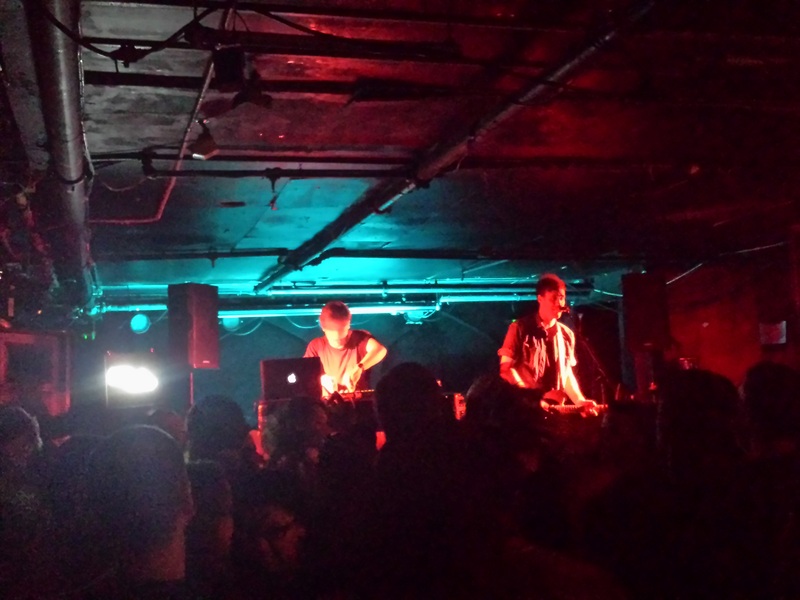 After support from Project Pablo (couldn’t have asked for a better first act), Bob Moses took the stage. To those who are not familiar, Bob Moses (Brooklyn based, consisting of Tom Howie and Jimmy Vallance) plays live, one mixing while the other plays the guitar. These two guys have really blown up in the past month, and can be found at some of the biggest festivals over the next few weeks – Mysteryland, Movement, and Parklife. Plus, unless you’ve been sleeping, you’ll surely know about their upcoming sold out rooftop party at Output this July. In case your curious, Resident Advisor did a great write up on them last summer. Check it out here. The guys took the stage at 10pm, and played a 1.5 hour set. We were blown away. Truly live instrumentation can be hard to come by these days, and they played beautifully. Tracks like ‘All I want,’ ‘I Ain’t Gonna Be The First,’ and ‘Grace’ all blended together. Closing things out with a beauty produced by none other than Frank & Tony (well regarded in their own right, they actually spun a secret after party set later that night!). We also managed to catch Kink’s recent single ‘Cloud Generator’ which sounds so wonderful played live, and really picked up the energy towards the end of the set. While we were a bit disappointed the set wasn’t more vocal focused (we were so hopeful for tracks like ‘Simulation,’ ‘Primitive People,’ or ‘Can’t Do Without You’), the set was still nevertheless incredible. Of course, the closing track of Hot Chip’s ‘Need You Now’ really put us and the rest of the crowd over the edge, leaving us all yelling ‘one more song.’ A+++ night at a fantastic venue. All around good times. Summer clearly equals festival season, and of course the place to be is in Ibiza. But for those of us who are not able to attend, Richie Hawtin’s live streamed Enter.Ibiza sets have become a staple of our weekly routine. The roster of artists this summer was unmatched, and each thursday night was unique in its own way. Discovered in Week 6 and used by Dubfire as his opening track, Yagya ‘Sleepygirl 5’ was like nothing we had ever heard before. Yagya is the artist alias of Icelandic producer Aðalsteinn Guðmundsson, who has been crafting these kinds of gems since 2002. Past album releases share similar atmospheric bliss and can be found on labels like Sending Orbs, Force Inc., and Subwax Bcn. Released back in June on Delsin, ‘Sleepygirls’ contains 12 blissful tracks that really are meant to be listened back to back. ‘Sleepygirl 5’ caught our attention because of its rolling synths, simplistic percussion, and incredibly powerful structure.